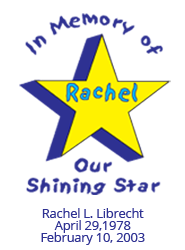 The Rachel Librecht Family Foundation was created in 2003 when our family suffered the tragic loss of Rachel. Rachel was a daughter, sister, aunt, and friend but she was also a great teacher of special education students at Seneca Valley High School. She was a graduate of Montour High School 1996 and Gannon University in 2000. During all her years teaching she shared with our family about the challenges these students face. Through our grief we formed the foundation to help these students achieve their goals upon graduation. Your donations have helped to achieve the goals of many winners. Click below to see all of our past winners, starting from our first year: 2003. Read testimonials from our past winners, as they discuss how winning the scholarship has changed their lives.